Llevábamos ya un tiempo sin analizar los estilismos de ninguna famosa y hoy es el turno de una que considero un referente, Emma Stone. En sus looks en su día a día, la actriz opta por estilismos sencillos en los que priman sobre todo los vaqueros y los shorts. Como partes de arriba suele escoger prendas lisas o con estampados como las rayas y no demasiado apretadas. It’s been a while without analyzing the style of famous people, and today is the turn of a referent for me, Emma Stone. In her daily looks, she opts for simple outfits with jeans or shorts. As tops, she uses to choose plain garments and sometimes simple patterns like stripes. Of course, all these tops are not tight. Volvemos al análisis de tendencias con otra de las que está pegando fuerte esta temporada, el arty. Los estampados de estilo artístico se llevan y los podemos ver de diferentes formas, a mí personalmente me encantan como si fuesen pinceladas, como los de Chanel, Blumarine o Dior, pero tenemos opciones para todos los públicos. 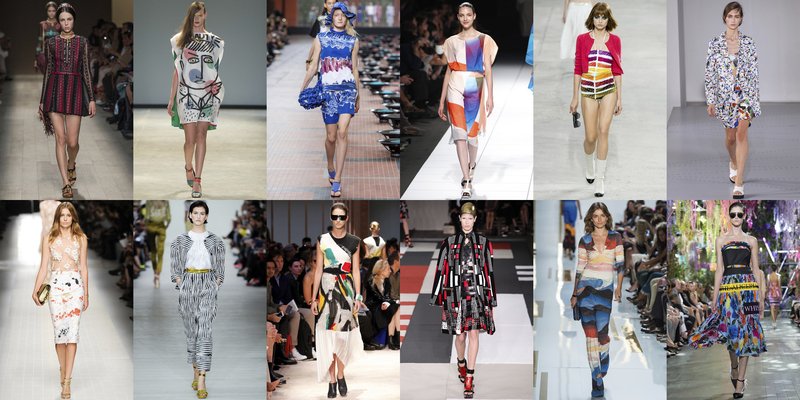 Today we are going to analyze one of the trends that are very fashionable this season, arty print. The artistic patterns are trendy and we can see them in different types and shapes. Personally I love the ones that look like brush-strokes, like the patterns from Chanel, Blumarine or Dior, but we have options for everyone. El verano se acerca y llega la época de ir pensando en renovar la ropa de baño. En el post de hoy os doy varias propuestas de bañadores y bikinis para todo el mundo. Summer is coming and with it, it comes the time of the year when we think about renewing our swimwear wardrobe. In today’s post, I give you some proposals of swimsuits and bikinis for everybody. Llevaba un tiempo sin analizar el estilo de una celebridad, y en esta ocasión me gustaría hablar de Kate Bosworth. En su día a día opta por un estilo cómodo con un toque bohemio, y en él priman los vaqueros con zapatos planos. It’s been a little while without analyzing any celebrity style, and in this occasion I would like to talk about Kate Bosworth. In her daily life, she opts for a confortable style with a bohemian touch, where jeans and flat shoes are the kings. Un clásico que nunca perece son los vestidos camiseros, y para esta temporada primavera – verano son un imprescindible. En pasarela los hemos podido ver de todos los colores y formas, aunque yo me quedo con su forma más clásica, sencillo y en color blanco como el de Nina Ricci de la octava imagen. Classics never go out of fashion, and that’s what happens with shirt dresses, for this spring-summer season they are essential. On the catwalk we have seen shirt dresses in different colors and cuts, but if I have to choose an option, my favorite is the classic in white, like Nina Ricci’s dress in the 8th image. Es raro que actualice en martes pero como sabéis el jueves y el viernes son festivos así que me voy a coger unos días de vacaciones, cumpliendo con mis tres entradas semanas. Además voy a acudir a un evento muy interesante, el II Encuentro de Bloggers en Camariñas, así que el jueves estad atentos a Instagram y Twitter porque compartiré muchas imágenes del evento. Centrándonos en lo que toca hoy, la tendencia tribal, he de decir que ha sido una de las más extendidas en pasarela y que la hemos podido ver en prácticamente todos los diseñadores. Si me tengo que decantar por alguno de los diseños, Emilio Pucci, en la tercera imagen es de los que más me ha sorprendido. I know it’s weird that I post in the blog on a Tuesday, but it is for a good reason, on Thursday and Friday we have a bank holiday at Spain, so I’m going to take a few days of holidays, updating the blog, of course, three times per week like always. Besides, I’m going to go to a great event, in Camariñas, (A Coruña), they are going to organize a blogger meeting, so on Thursday be aware of my Instagram and Twitter because I’m going to update them with images and videos. 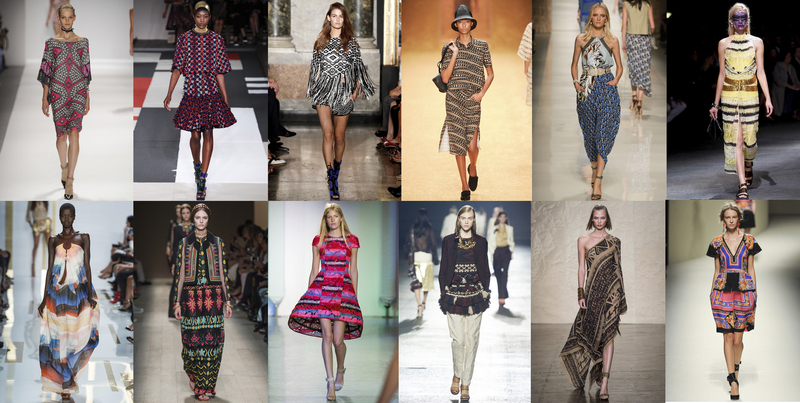 Now, it’s time to focus on today’s post, tribal is one of the most extended trends of the season, and most of designers have shown it on the catwalk. If I have to choose one outfit, I have fallen in love with the Emilio Pucci one, that you can see in the third image. En mi página de Facebook estuve anticipando que para la próxima temporada los flecos se van a llevar muchísimo, pero esta primavera-verano ya estamos viendo los primeros atisbos en pasarela. Aparecen especialmente en vestidos y en chaquetas y le dan un toque étnico a los conjuntos, de los que destaco especialmente el vestido de ante azul de Valentino. 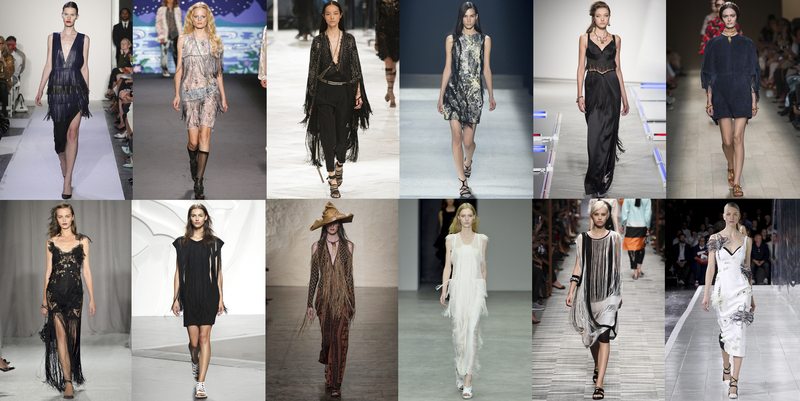 In my Facebook page I was foreseeing that for the next season fringes are going to be one of the most important trends, and this spring-summer season we are seeing the first traces on the catwalk. Fringes are specially appearing in dresses and jackets, giving and ethnic touch to the outfits. I specially highlight the blue sueded dress from Valentino. La actriz alemana Diane Kruger tiene un estilo que me encanta tanto en la alfombra roja como en la calle. Su altura y cuerpo le permiten ponerse prácticamente cualquier estilismo. En su día a día viste con conjuntos sencillos pero efectivos, de los que destacaría el de la tercera imagen con la camisa con lacito y los shorts negros, perfecto para un día de trabajo en el que acabas saliendo a cenar. I love the style of the German actress Diane Kruger, she dresses perfectly on the red carpet and in the street. Her height and her type of body allows her to wear a wide variety of outfits. In her daily life she wears simple but effective outfits, and I highlight the third image, where she is wearing a shirt with a bow and black shorts. This outfit is perfect for a working day in which you end up going out for dinner with friends. Sonia Giordani es una diseñadora italiana afincada en Madrid. Algunos de vosotros lo sabréis pero otros no, desde hace poquito me encargo de la comunicación de Lamuss by Sonia Giordani, y como buena responsable de mi área, ella también tiene que tener un hueco en la sección de entrevistas de My Trendy Sins. 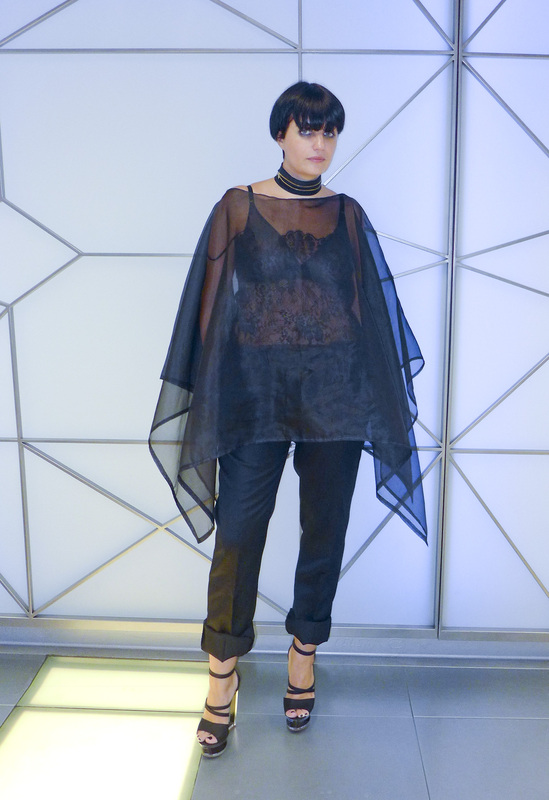 Sonia Giordani is an Italian fashion designer settled in Madrid. Some of you will know that not long ago I’m the head of communications of the brand Lamuss by Sonia Giordani, and as a good responsible of my area, she has to be part of My Trendy Sins interview’s section. El blanco impoluto es otra de las tendencias para esta temporada primavera – verano. Se trata de un color que no es demasiado favorecedor en invierno pero que con un poco de bronceado queda de maravilla. Pure white is one of the trends of this spring – summer season. In the winter is not a color too fetching, but when you have your skin tanned is perfect.